Today’s TTT topic was submitted by Brandyn @ Goingforgoldilocks. Thanks for the fun idea, Brandyn! If you have ideas for future topics, submit them here! I know how hard it was for many of you to come up with a list of characters you liked from books you didn’t like, and I’m sorry if you couldn’t participate! Always feel free to switch up a topic to make it work for you when this kind of thing happens. I really loved the topic idea when I saw it come through my TTT topic submission form, but was pretty daunted by it at the same time. I usually don’t like a book because I didn’t like the character(s). I know I’m just one person, though, and I shouldn’t only pick topics that are easy for me. And honestly, I really liked the challenge because I ended up mentioning some books I’d never talked about before on the blog! Anyway, I posted a discussion a few days ago about whether or not you’re a character or plot driven reader, and we’re having fun over there. Jump in and tell me what kind of reader you are, and if last week’s topic was a bit of a challenge for you! We did a topic a couple months ago on books we could re-read forever. This time we’re showcasing books we liked but will never re-read. For me those books are usually books I loved years ago that I’m scared I won’t love anymore if I read it now (tastes change, you know?). It’s kind of like meeting up with a best friend from childhood and then not liking them anymore and ruining the memories of your time together as kids. I don’t want to erase the experience I had reading it when I loved it. I also run into this issue with books that have major plot twists or are mysteries because I know I will never be able to duplicate the amazing reading experience I had before I knew what was going to happen. These are the kinds of books I’m going to talk about today. I really loved Twilight (it came out while I was in college), and it re-ignited my love of reading and introduced me to the magical world of YA books. I didn’t have YA as a teen and spent my teens years reading historical romance novels. I wish I’d had YA back then, with characters and situations that I could relate to. Wanderlove changed my life. It’s one of those books that I found at just the right time, and I’m not sure I’d ever feel like I did when I read it. It scares me that I’d taint that life-changing reading experience if I tried to re-read it now. 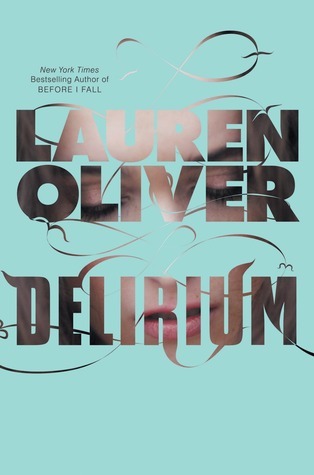 I read Delirium right when it came out. I was still on a dystopia kick after reading and loving The Hunger Games. I LOVED this book so much. When I read the synopsis now, though, it’s the kind of story I’d pass over. Maybe I read too many dystopian novels, or maybe I got tired of reading so many similar stories. I don’t think I’d love it anymore, which is sad because I own Requiem and want to see how it ends. But that means I’d have to re-read Delirium and Pandemonium because I’ve forgotten everything. I’m worried I wouldn’t make it through and then I’d have ruined one of my favorite books for myself. 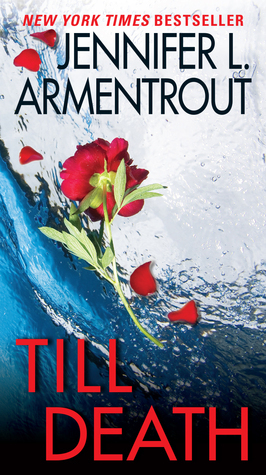 Ah, this is one of my favorite romantic suspense novels! And I’m oo scared to re-read it because I already know what happens and I don’t ever want to forget how terrified and confused I was. lol. I had NO CLUE who the culprit was, and I loved trying to figure it out. Would I enjoy this book as much the second time if I already knew the ending? This is another favorite book of mine. There is a very strong musical theme throughout that I really connected with. It’s the kind of connection I would never want to lose, and it scares me to think of re-reading it even though I want to so bad! I miiiiight not hold myself to this becuase I LOVE this book so much. It’s another one I’m scared I won’t love anymore because I’ve been having a hard time with contemporary YA lately. While the writing is beautiful, and I loved this book a lot, I’m not sure I could put my heart through it again. I’m really done with any and all fae that are not Sarah J. Maas’s. Maggie’s writing is beautiful (and I loved this book), but I’ve really fallen out of love with most paranormal/folkloric creatures. I still love mermaids, but that’s about it. I also think I’d eyeroll over the instalove and the Twilight-esque feelings. MAJOR PLOT TWIST that I can never ever re-experience unless I get amnesia. If I do, remind me I want to read this book. Which books did you enjoy, but will never re-read? Why? Do you ever experience this problem I have where you’re worried you won’t like a book as much the second time and end up ruining everything? What do you suggest I do about this fear? Love “Anna and the French Kiss,” but haven’t re-read that one. Someday I would like to give “Delirium” and “Incarnate” a chance though I don’t know if I’ll like them or not. I’m glad you thought last week’s topic was a good one. I’m always up for a challenge, but not everyone is and I felt a little guilty for doing that to everyone. lol. Twilight came out when I was a senior in high school but I didn’t know about the books until the movies started coming out. I didn’t really enjoy it that much, but it did open the door to other YA books that I love. I personally felt that the ending to the Twilight series was a little boring. But I can see why people loved it, it just wasn’t for me. Same here with the Book Thief, it would be on my list too. It’s one of my all-time favorite and I’m afraid I get bored rereading it as it has history part in it. And I don’t like any history. hehe. (MY TTT isn’t posted yet)… Tuesday is just starting here.. lols. lol. It’s one of my favorites too, but I agree with you that I’m not the biggest fan of reading historical novels (unless there’s romance!). Every once in a while, though, I’ll give one a shot. The Shiver-series and The Book Thief are still on my TBR, haha. Looking forward to both of them although I do think I won’t like the Shiver-series as much compared to if I would’ve read them a couple of years ago. I did really love the Shiver series, and maybe I still would! I’m not totally sure. My mom read Shiver a few years ago because of my raving review and thought it was a little young compared to other YA books, so that worried me a little about the possibility of a re-read. I postponed The Book Thief as long as I could, and then was forced to read it in grad school. It’s absolutely beautiful. I read a bunch of spoilers so I knew what I was in for, and I just teared up a little. No ugly crying, luckily. lol. I think I’m crossing 180 Seconds off my TBR now… lol. I’ve never read Twilight as I feel like my opinion is now too tainted because people say stuff about them ALL the time. I also didn’t really like the film of the Host. Really enjoyed Anna and The French Kiss, but can’t decide if I’ll go on with the series. I am grateful I read the Twilight books before I’d ever heard of them. I also wasn’t doing bookish social media or blogs yet, so I went in with a pure, blank slate. I can see why hearing about them online for so many years would deter you. The Host book is much better than the movie, imo. As for the Anna series, I really loved Lola, although not as much as Anna. I haven’t read the third one yet, though. I kind of lost my momentum. Ah yes, I totally forgot to include basically any thrillers! I’m not much of a re-reader though. Too many new books and new to me books that need to be read, hopefully before I die! Lol! So most of my picks were random ones or had other reasonings! I do like your reasoning behind Kiss of Deception and Till Death! I’m not much of a re-reader either. Actually, I’m totally not a re-reader. lol. The only book I’ve ever re-read that wasn’t a picture book is A Court of Thorns and Roses by Sarah J. Maas in preparation for A Court of Mist and Fury. 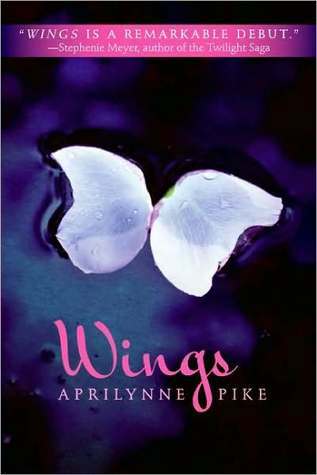 Wings has such a delicate cover — even though you are done will sorts of Fae that aren’t Sarah J Maas, I am intrigued by this one. Glad you liked the topic! I was pretty close to putting Anna and the French Kiss on my list this week too. I loved it at the time but haven’t felt the need to go back and re read. I don’t tend to go in for re reads much, only a very limited number of favorites (usually romance reads or classics), as there are too many new books I want to read. If I was worried a re read would spoil my memory of a book I just wouldn’t do it. Also if you need a refresh on Delirium I can help. I love that book so much I have reread it and listened to it on Audio (Sarah Drew from Grey’s Anatomy does the narration). Hehe. I had a feeling you’d see that I listed Anna and disagree! Maybe I should give it a try regardless because I did LOVE it so much, and I know you’ve read it like a thousand times now and still love it. That gives me hope. I need your help on Delirium and Pandemonium!! I’d still love to read Requiem. And I actually think I bought the audiobooks back when they were on sale, now that you mention it… Audible had a sale, and they were each like $4. It was a steal. It helps knowing you liked the narration. I’ve never seen Grey’s Anatomy… Do you recommend that show? I’m sort of ashamed to admit that I haven’t heard of most of these books. xD I bought The Book Thief over Christmas, so I plan on reading that this year, though. 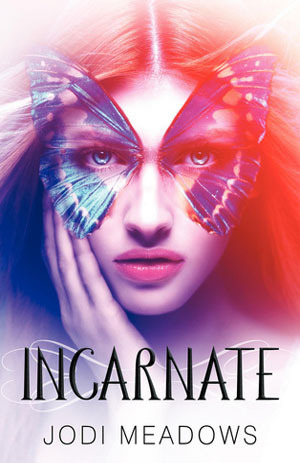 And the cover for Incarnate is gorgeous! I might have to pick that one up, too. :) I think a lot of my reasons for not re-reading books are the same as yours: they were magic and special the first time I read them, and I don’t want that to change. Oh, I recommend all the books I listed here, especially Incarnate and Kiss of Deception! lol. I’ve always loved Incarnate’s cover, and the other two books in that series are just as beautiful. Talking about it is making me want to re-read them, so I might just trash this list and not worry anymore. 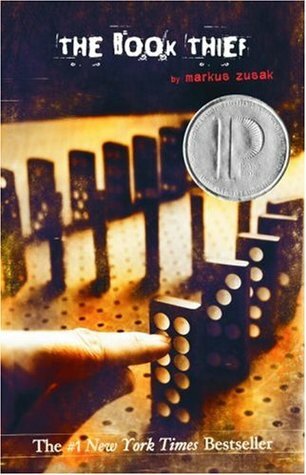 I hope you enjoy The Book Thief! It’s beautiful, but a little hard on the heart. If you trash the list, you can always just write another list (books I never thought I’d re-read but did haha), and who doesn’t like lists? I’ll be prepared. I’ve got a backlog of Terry Pratchett books, so I’ll have to sandwich The Book Theif between them, and maybe that’ll lessen the blow. Probably not, but a girl can hope. Anything to lessen the blow! I actually read The Book Thief periodically across two years, so… lol. That really helped soften it. I loved the Twilight series. I was in my late 30s at the time and discovered that YA genre is NOT just for teens, LOL! I rarely re-read anything…too many other books to discover! Wasn’t that series SO good!? My mom read them with me, and she loved them as well. 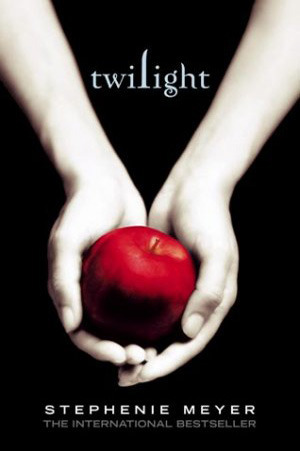 YA is definitely not just for teens, and I love that Twilight proved that to so many people! I rarely re-read as well. Too much on the TBR! Loved your list! I have a lot of these on my TBR so I’m glad to hear you liked them so much! I hope you like them too! Everything I’ve listed here really is wonderful. BAH, me too! A Court of Thorns and Roses was just magical, and ACOMAF was even better. LOVE these books! I still haven’t read ACOWAR, which I can’t believe. I got about halfway through and wasn’t feeling it. What’s wrong with me!? I want to try it again before the next one comes out. I did the EXACT SAME!! I picked up ACOWAR the day it came out but I didn’t finish… and still haven’t! And I can’t really explain why – just, like you said, not feeling it. But I’m definitely going to try picking it back up too! It kind of kills me that this happened to me because this is my favorite series ever! And I want to read ACOWAR, but to make it halfway through and then quit?? I feel like I’ll have to start it over, but the book is HUGE! It’s a major problem. Bahaha. Anna and The Book Theif are on my TBR. Hoping to pick them soon. AHHHH, you haven’t read Twilight yet!?! You’re making me want to read it again! Anna and The Book Thief (lol. Interesting title combination) are both wonderful. Hope you enjoy them! I am having a hard time saying I won’t reread some books because what if I do? Ha! Completely feel you on, The Book Thief. I don’t know that I could go through that one again. Even though, it’s a fantastic book!! Ugh, so fantastic! I love that book so much! I might go and re-read certain passages that are just really beautiful. Who knows? You have some really good books on that list. I am not a big re-reader, but the Harry Potter series would definitely be on that list! I’m actually reading my way through the Harry Potter books for the first time ever right now! I can see reading the first one again. It’s so magical! The only book on your list I’ve read this week is Twilight and it made my re-read forever list ;) I didn’t care for the last book in the series, but the first three I’ve re-read several times. I still need to read The Book Thief. I’ve heard such amazing things about it! I tweaked the topic a little this week on mine going with series that I want to re-read. lol. Twilight will forever and always be a favorite book of mine, I’m just scared my opinions will change reading them 10+ years later. lol. I also didn’t like the last book in the series. I like the tweak you made to the topic! Great list, Janna! Anna and the French Kiss made my list this week as well. I’m also a little afraid I won’t love The Book Thief as much as I did the first time around. Plus, I’m not sure I can survive the heartbreak and tears again! I’m kind of questioning my decision to put Anna on my never re-read list… Why are you not wanting to re-read it? Yes to The Book Thief. lol. I doubt I’d survive it again! I had The Book Thief on mine too for the exact same reason! There are people who read the book EVERY YEAR. How??? More importantly, WHY?? Wow, every YEAR!? I’m with you: why!? 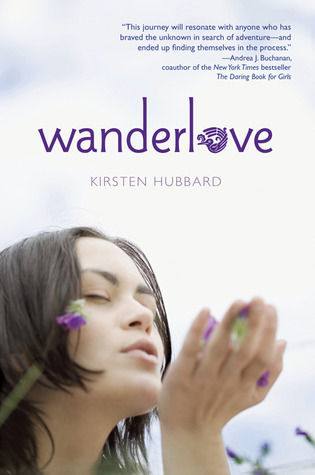 What you said about Wanderlove, probably touches upon one of the reasons why I don’t re-read (ever). I think I want to retain my memory of that book, especially if it was a good one. I remember seeing the original Salem’s Lot movie and thinking it was so scary. I watched it again when I was a little older, and thought it was cheesy. I sort of ruined that movie for myself. That was my first lesson in why I shouldn’t re-anything. Yes, I totally agree with you. Possibly destroying a book for myself is a really scary thing for me. lol. I’m not this way as much with books or movies I read/watched in adulthood, though. My opinions don’t change as much. Twilight made my list too. It was also the book that got me to read again. I thought the movies were a great adaptation and I’ve seen the movies multiple times, so I don’t think I’ll enjoy the books again. Thank you for hosting this meme! 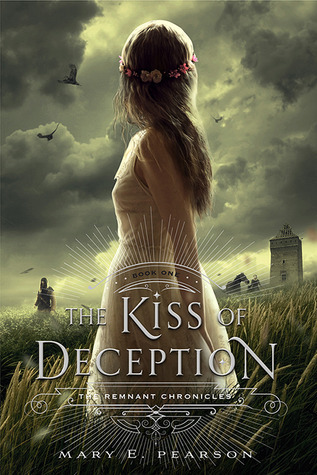 And ooh Kiss of deception sounds interesting with that plot twist! Totally agree with you about Shiver. 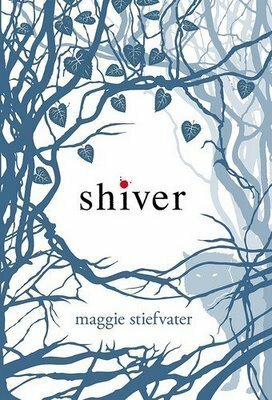 I loved it the first time I read it and wanted to continue the series, but by the time I finally got around to Linger, I’d totally forgotten about most of what happened in Shiver, and I didn’t really care enough to reread it. I was kind of over the paranormal romance craze by that point. Twilight, though, I’ve reread more times than I can count, and I’ve loved it every single time. While Book Thief was absolutely amazing, I don’t see rereading it either. Not sure why. Maybe because I know what happens… An interesting list and topic! Lynn @ Smoke & Mirrors recently posted…Top Ten Tuesday for April 24th!